After his education as a banking specialist, Sebastian studied business administration at the University of Applied Sciences Landshut and Anglia Ruskin University Cambridge. He is a CFA charterholder and dedicated his education and research focus particularly to the areas of ETFs and indexing. After his studies he worked as a fund manager and advisor to institutional clients at Walser Privatbank. Afterwards he became Senior Portfolio Manager with MYRA Capital, an investment management boutique with a strong focus on efficient and rules-based investment strategies. 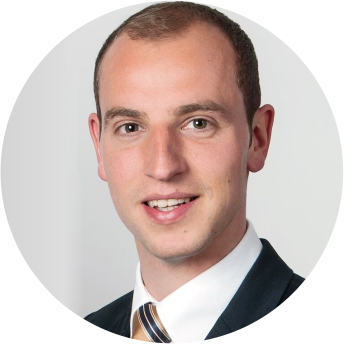 In 2017 he joined Wüstenrot Group as Treasury & Investment Manager. Stahn specializes in absolute-return and portfolio insurance concepts. He is a renowned expert on efficient, forecast-free and rules-based investment strategies. "We provide insights about the most important factors within the "factor zoo". Understanding their risk and return drivers helps to build stable portfolios."